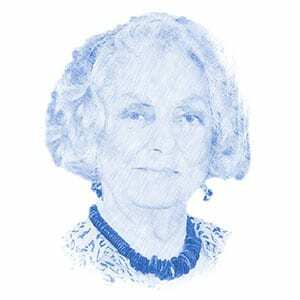 Susan Warner, Author at Breaking Israel News | Latest News. Biblical Perspective. Susan Warner is co-founder of Olive Tree Ministries, a Christian ministry based in Delaware, USA. She and her husband David have been teaching and writing about the Jewish roots of the Christian faith and Israel in bible prophecy for almost twenty years. Her recent writing focuses on Christianity, Israel and anti-Semitism as she works toward a book entitled "The Yoke of Constantine: How Christians are snared by anti-Semitism." Susan is a Distinguished Senior Fellow at Gatestone Institute..
For many Venezuelans, by every economic, social and political measure, their nation is unravelling at breakneck speed. The summer of 2016 reminds us that Christian foes of Israel, after 2000 years of persecution, stand ready to strike yet again. Chapter one of this story began when Father Gabriel Naddaf, a Greek Orthodox priest in Nazareth, started to speak up for the idea that it was time for Christians to embrace their homeland, Israel, and their Jewish roots. The Palestinian Authority has no intention of recognizing Israel’s right to exist. The BDS movement is a real crime. When Vatican II was first introduced to the Catholic Church and the world in 1965 by Pope Paul VI, the Jewish world breathed a sigh of relief.